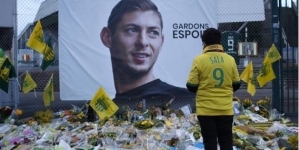 The part-time pilot who flew Emiliano Sala from France to Wales before crashing into the Channel made ‘basic errors’ before take-off, it was revealed today. David Ibbotson was also not allowed to take paying passengers because he only had a private licence – not a commercial one – and didn’t have the qualifications to fly in bad weather but took their plane into a winter storm, it has also emerged. The Air Accidents Investigation Branch (AAIB) will release its interim report into the accident at 2pm on Monday. But ahead of that publication new documents from France have emerged about Mr Ibbotson’s qualifications and pre-flight preparations. Images uploaded to social media by Fox Sports journalist Christian Martin appear to show that in his flight plan Mr Ibbotson, a boiler engineer by trade, made a number of ‘basic errors’. Mr Martin claims the paperwok shows Mr Ibbotson accepted ‘the disregard of flying with instruments, key to flying between clouds without visibility. That night there were many clouds and a cold snap over the English Channel’. Martin described the mistakes as ‘basic errors’. Under VFR, pilots are responsible for seeing other aircraft and avoiding collisions and it requires a minimum standard of weather conditions to be present to be allowed, known as visual meteorological conditions (VMC). Martin also appeared to confirm MailOnline’s exclusive that Mr Ibbotson was not authorised to take paying passengers because of his private pilot’s licence. A private search is underway to find Ibbotson’s body with his family having raised over £240,000 to pay for it. 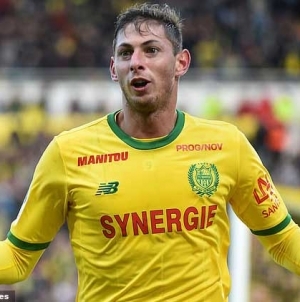 Investigators removed Mr Sala’s body from the Piper Malibu N264DB a fortnight ago and ended their attempts to recover the aircraft wreckage because of poor weather. 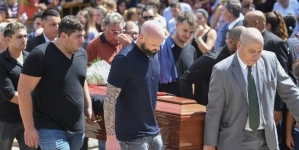 His body was brought to Portland, Dorset, by the Geo Ocean III boat, and taken on a stretcher to an ambulance, before being transferred to the coroner. The remains of the plane were discovered two weeks ago. 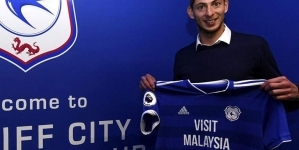 It had disappeared on January 21 as it travelled from Nantes in France to Cardiff. ‘No-one should walk away with the impression that the Coastguard and also the Channel Islands air search did anything other than a professional job,’ he said.